Houston, Texas based waste and recycling firm, Waste Management (NYSE: WM) has opened a Renewable Natural Gas Facility creating pipeline-ready natural gas from the landfill gas produced at its Milam Landfill in Fairmont City, Illinois. The company explained that early next month the processed renewable natural gas will be injected into the Ameren Illinois pipeline for withdrawal at other locations, including some Waste Management facilities. The Milam Renewable Natural Gas Facility is designed to process approximately 3500 standard cubic feet per minute (SCFM) of incoming landfill gas. The facility utilises landfill gas, and purifies it to a high-quality natural gas that in turn feeds into the adjacent pipeline to fuel the company’s growing fleet of CNG trucks. According to Waste Management, this is enough to fuel about 200 of its CNG collection trucks each day, and represents more than 5% of the natural gas that is used in its entire CNG fleet per day. Waste Management of Illinois currently has over 100 CNG trucks in its fleet, which is said displaces about 1 million gallons (3.8 million litres) per year of diesel fuel. 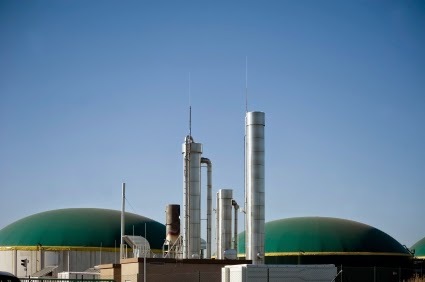 An existing landfill gas-to-energy facility at the site produces 2.4 MW of energy, which Waste Management explained is now directly connected to the new Renewable Natural Gas Facility, providing the power needed to run the new facility. The Renewable Natural Gas Facility is also said to reduce the site’s emissions. Since the gas is treated, rather than burned onsite, Waste Management anticipates a 60% reduction in emissions of carbon monoxide, nitrogen oxides, and particulate matter. The $19 million Renewable Gas Facility was partially funded by a $2.4 million grant from the Illinois Department of Commerce and Economic Opportunity and the Illinois Energy Office. Waste Management added that construction of the facility provided the equivalent of 17 union jobs over a ten-month period, and three operational jobs.